Don’t See Your eBook Titles in Catalist? Here’s Why. 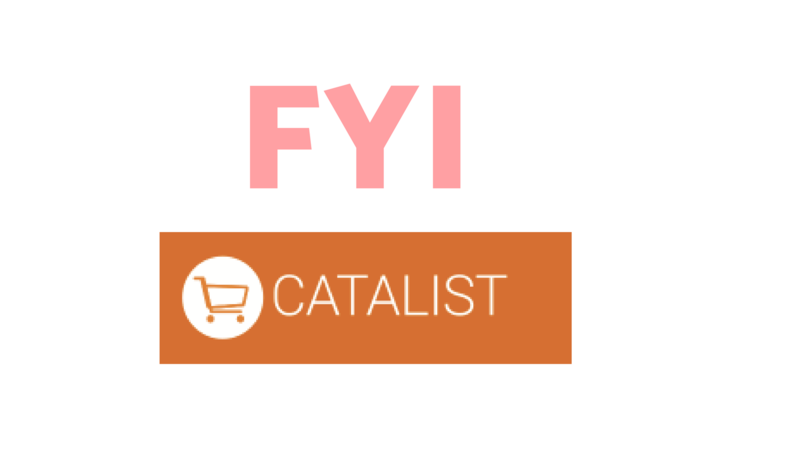 Following the launch of the fall/winter 2018 Vendor Notification Program, it’s come to our attention over here at eBOUND that not all publishers understand the ins-and-outs of BNC’s Catalist. One of the biggest perks of participating in the VNP is FREE catalist spots for your ebook titles, so understanding what it’s all about (and why we think it’s great!). We create seasonal catalogues to showcase your upcoming titles and put them in front of the right purchasers. We also keep catalogues live that include all backlist titles to ensure those gems are never forgotten! 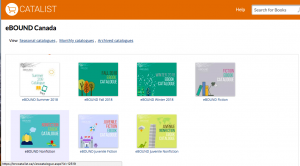 Don’t see your eBooks in our catalogues? First of all, ALL ISBNS must be ingested into CoreSource and then distributed to Biblioshare in order to appear in Catalist. We automatically distribute your ISBNS once you ingest them. Secondly, only EPUB format ISBNs appear in Catalist; PDFs and audiobooks are not compatible with the system. Finally, if you have errors in your metadata (i.e missing prices or cover image) eBOUND will not publish your ISBNs in Catalist. Why not? It doesn’t do your books, company or our catalogue justice to share broken links! Don’t forget: once your EPUB ISBN is put into eBOUND’s catalogues you can add it to as many of your own as you wish, free of charge! If you’re facing difficulties, please get in touch with Cassondra Dolan, your sales and Marketing Specialist.